There’s lots going on in our community! Several of our schools’ families originally come from Somalia. 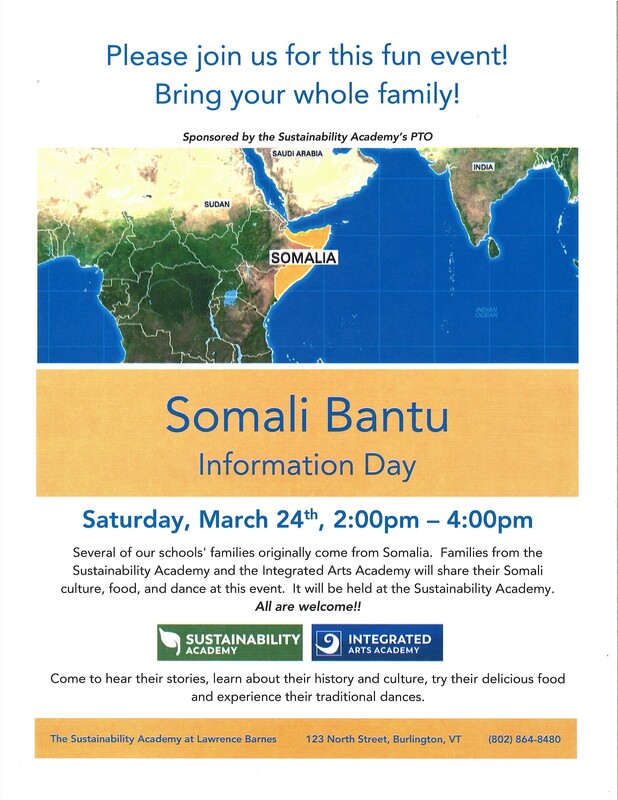 Families from the Sustainability Academy and the Integrated Arts Academy will share their Somali culture, food, and dance at this event. It will be held at the Sustainability Academy. 2-4 pm Saturday – March 24th.